International Leadership Associates is pleased to offer a special two – day, leadership experience for leaders of the Cincinnati area cultural nonprofits. The Spring 2019 dates are forthcoming, and it will be hosted by the Cincinnati Zoo and Botanical Garden. The program will explore in detail The Five Practices of Exemplary Leadership®, one of the most effective and widely used leadership models in the world today. You may have heard of it from the worldwide best selling book, The Leadership Challenge, by authors Jim Kouzes and Barry Posner. Thoroughly research-based and totally practical, this session will allow you to immediately become the better leader others around you need you to be. 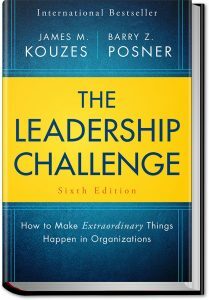 Learn more about what participants receive, and other information about The Leadership Challenge Workshop. You will receive the same program as is typically provided, with one major exception. There is a substantial discount for this program – the tuition of $800 will be less than half of what it typically is for a public workshop ($1999). And any additional attendees from the same organization can attend for $700. 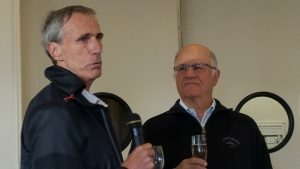 Managing Partner Steve Coats (pictured above on left with author Jim Kouzes) has over 30 years of working with The Leadership Challenge, longer than anyone but the authors themselves. ILA has been very active in the community over the past several years, providing leadership development to several nonprofit organizations, through their relationship with The Leadership Council for Nonprofits. ILA recognizes the unique challenges nonprofits have in fulfilling their missions, and is committed to helping nonprofit leaders of all kinds become better equipped to successfully meet those challenges. Stay tuned for information about the date.